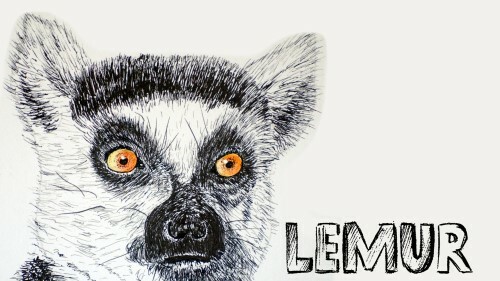 The Lemur is actually quite a comical creature. They are very agile and use their tail for balance. On the ground they move in an upright position, with a jumping action. They sometimes look like a troupe of ballet dancers. 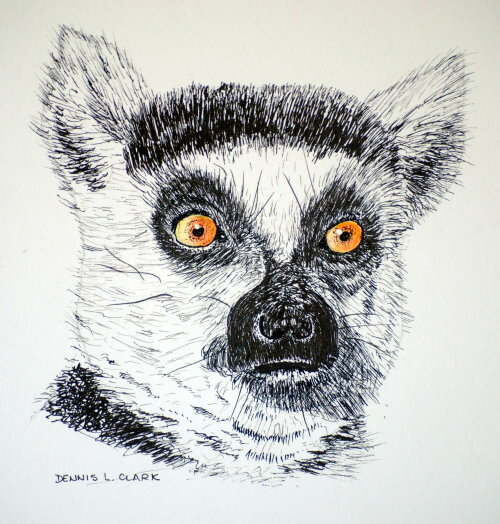 You will draw a portrait of one of these in pen and ink.